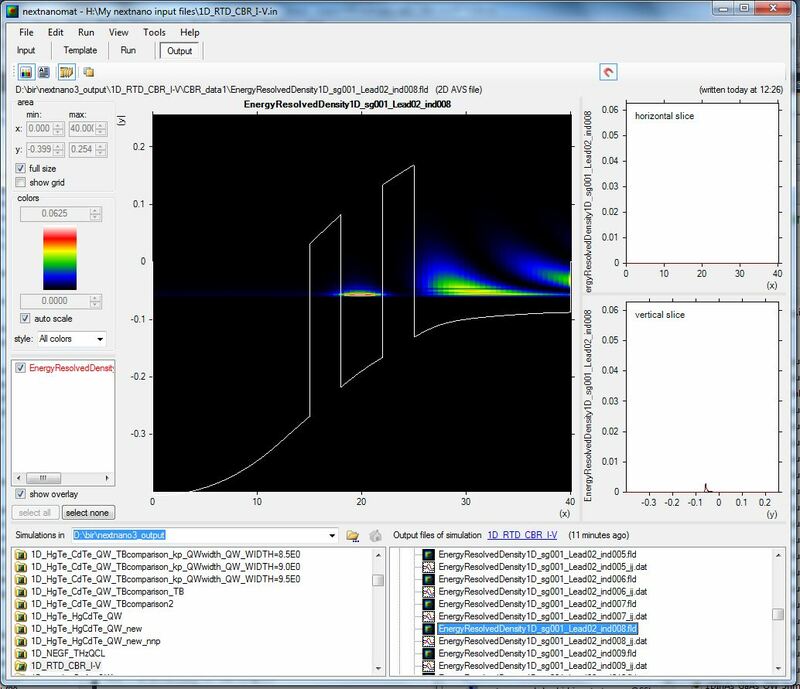 We develop powerful tools for the simulation of nanostructures. 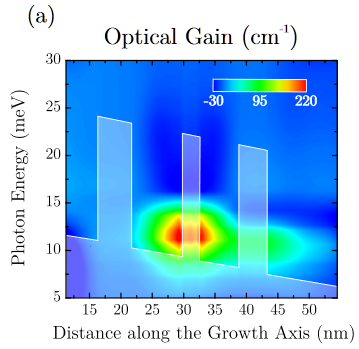 Applications include nanotransistors, LEDs, laser diodes, quantum dots, nanowires, quantum cascade lasers, HEMTs, infrared detectors and solar cells. 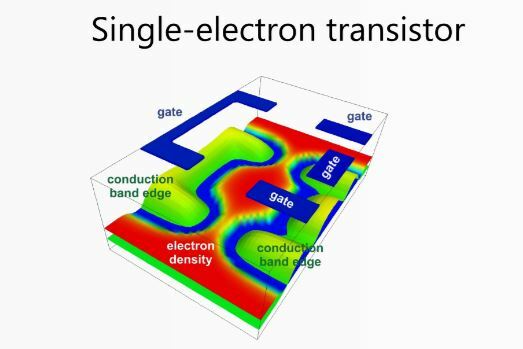 Due to the continuing scaling of semiconductor electronics, quantum physical effects are gaining importance and fundamentally challenge industry with respect to simulation and design. Our unique selling proposition is an advanced physical method for the calculation of the quantum mechanical properties of an arbitrary combination of geometries and materials. nextnano will be exhibitor at the 13th International Conference on Nitride Semiconductors 2019 (ICNS-13) in Bellevue (Seattle), Washington, USA. We are looking forward to informing you at out booth at the industry exhibition about our software for simulating nitride semiconductor heterostructures. 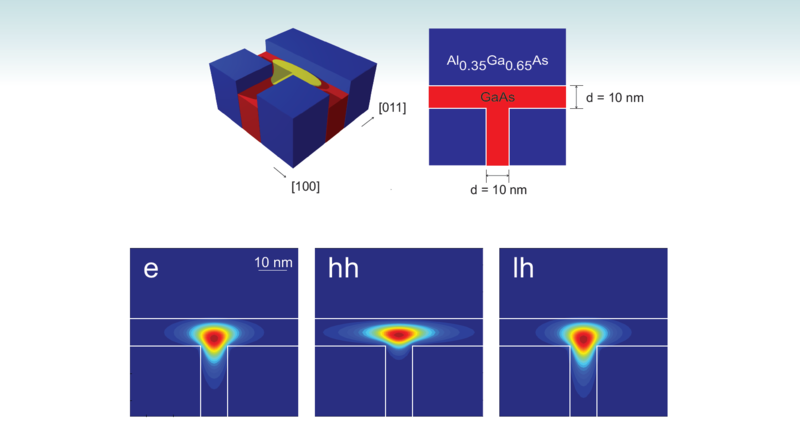 nextnano will be attending the 2019 Infrared Terahertz Quantum Workshop (ITQW) in Los Angeles, California, USA. Thomas Grange is looking forward to informing you about our nextnano.QCL software for simulating Quantum Cascade Lasers. You can now directly download our tutorial input files. 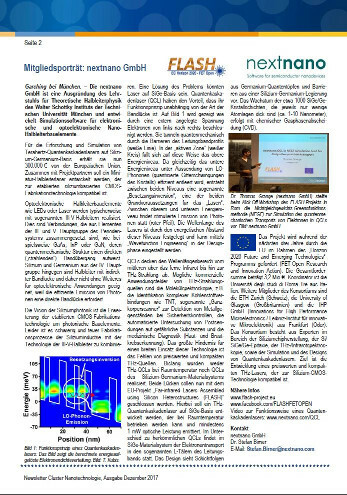 The newsletter of the Bavarian Cluster Nanotechnology reports about our new EU project FLASH.